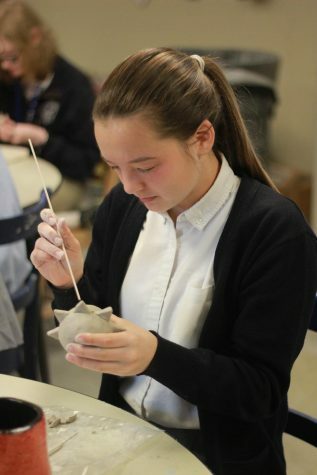 Carefully molding her clay, sophomore Kelsie Kreuter needs to finish her project before the semester comes to a close. 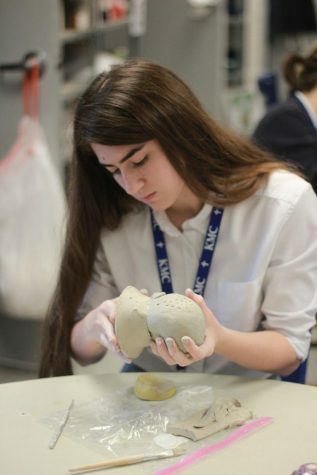 In the process of smoothing out her clay, junior Elizabeth Mitsch molds her ceramic creation. 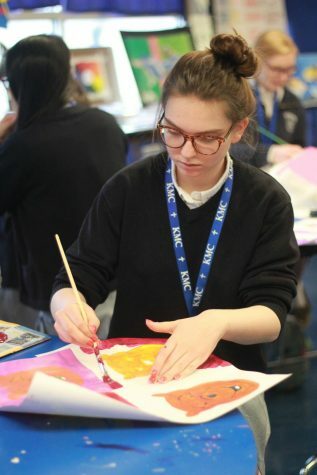 She needs to smooth out the clay so her creation will not crack while drying. 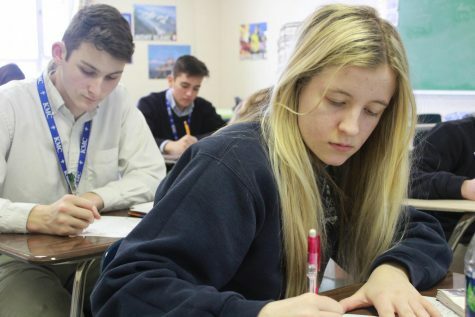 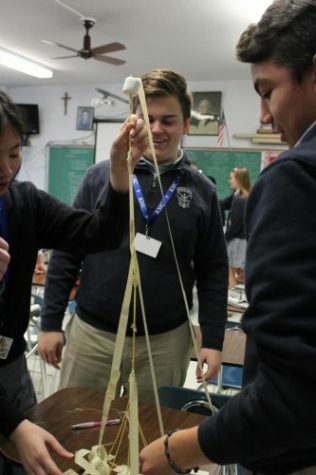 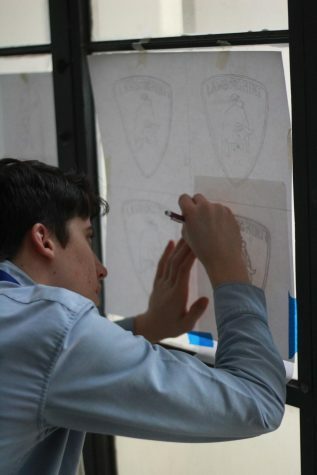 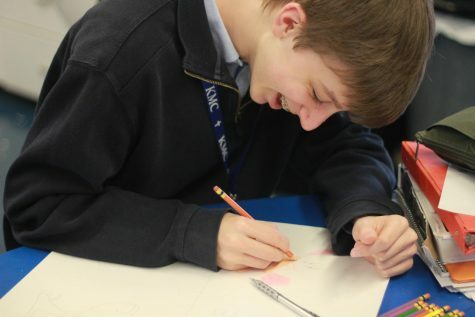 Enjoying his intro to art class, sophomore Nathan Eggel smiles as he sketches his art project. 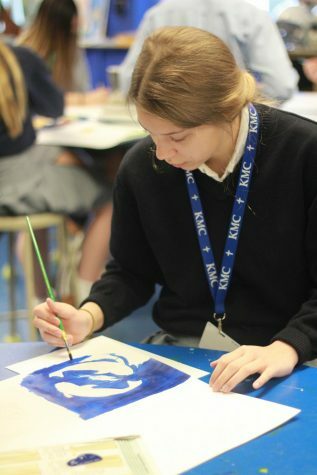 After learning about color schemes, junior Vanessa Frambers designs a Winnie the Pooh painting.